This week it is Cosmo - Dog Man Congratulations! Welcome back to a new term and a new learning journey which this term is Marvelous Machines! More information will follow as we embark on this exciting journey together. Just as last term, PE will be on Tuesday and a Friday, so please ensure the children have a full PE kit for these sessions. 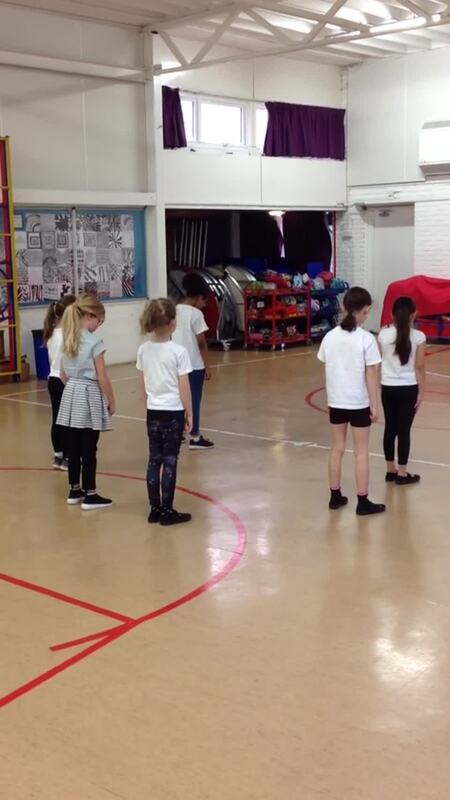 This term in our Tuesday sessions we will be learning a dance for our Let's Dance performance at The Dome and during our Friday session we will be playing invasion games. More information about Let's Dance will follow. Again, as last term, the children will bring home 5 spelling words on a Friday to learn over the weekend and return by the following Wednesday. There is a list of activities either in the front or back of the orange spelling books and we recommend that the children have a go at at least three different ones. The pyramid activity is always very popular as is the rainbow writing one. It would also be helpful to read daily and practise times tables at home too. If you have any concerns or wish to talk to me about your child's progress, please come and see me. I will be in the playground at the end of the day. Please scroll down to find out what we have been up to! In English this week we have been learning about Magnus Volk and all of his wonderful electrical inventions! We have been using paragraphs to write a biography and thinking about using apostrophes for possession. We are really good at using these. Magnus Volk invented the oldest electric railway and the majority of the class have been lucky enough to have a ride on it! Science this week was really good fun. We were looking at electricity and tried to light up the sky with a tiny bulb and create sound with a buzzer. We found out that we had to make a circuit and connect all the parts to the power. This week in Maths we have been adding and subtracting different lengths. We had to think about how many vehicles we could fit on a bridge. We used a bar model to help us. We have enjoyed playing Hit The Button, using number bonds this week, rather than times tables. It was cabaret assembly this week and our auditions were held on Wednesday. 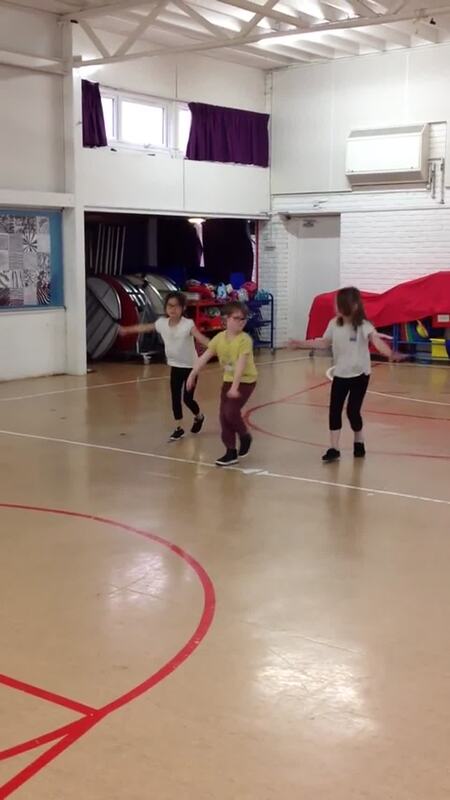 Two groups were successful; Maya, Bea and Eleanor showed their dance skills by creating a performance to Around The World. Ava, Katerina, Karina and Isabella gave a fantastic singing performance to Look What You Made Me Do. All the acts were brilliant! 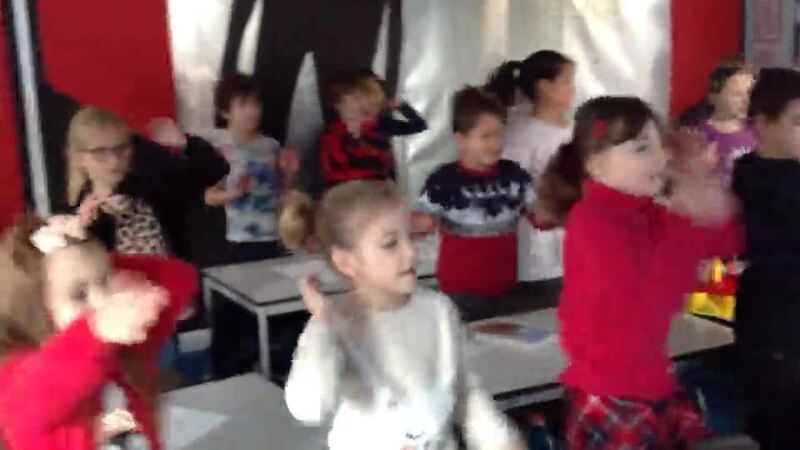 We have been using the dance skills that we learned for Let's Dance to create our own routines. We listened to Around The World and thought about how we could use this idea in a dance performance. Have a look at the videos below at our fantastic routines. The Karen Busy Cup has been on its travels as we celebrate our fantastic Let's Dance performance. Cosmo and Noah have both been lucky enough to have it this week! BIG NEWS!!!!! We have won the half term attendance award of £25. Well done to us for always being in school!! This week we finished our DT project, which was building a puppet theatre and puppets based on the Iron Man. We worked really hard with our learning partners and all of our shows were slightly different. Our audience were the children from Year 2. Sarah said her class really enjoyed listening and watching our puppet shows and we really enjoyed performing them too! We are feeling really proud of ourselves as we have won the KAREN BUSBY SPORTS ACHIEVEMENT AWARD for all our hard work for our Let's Dance performance. We have a fantastic trophy that each of us gets to take home for a few days at a time. Cherry will choose our names with the lolly sticks until we have all had a turn. It feels amazing to be recognised for all our hard work, especially as it was something we loved doing! On Thursday this week we celebrated the Hindu festival of Holi. This is a festival traditionally celebrated with the throwing of paint over each other, but we chose to throw ours in a slightly different way! We chose to use brightly coloured ink to create patterns with straws, blowing it across paper and then using ink mixed with water and dropping it onto kitchen roll. Both gave very different effects and we really good fun to create. We also wrote acrostic poems about the celebration. This week in Maths we looked again at dividing a 2 digit number by a 1 digit number. We found this tricky, but by the end of the week, we were really confident and able to use it in problem solving. We have also practised our arithmetic skills and our times tables, this time with the division facts. It would be useful this week if the children could practise their times tables too. They have been working on the 4 and 8 times table so could practise those when they have the time. The journey to and from school is often a good time to practise these. We've finally performed our dance at Brighton Dome and we think everyone loved it - we definitely did! The dressing room was really hot, but we kept our cool and we kept our energy level high. Our performance was electric and we all felt amazing! We grooved and moved and really lit up the sky. We all really enjoyed watching the other performances and they gave us plenty of ideas for moves we could use in our next dance. Below are some photos of us in the dressing room before we performed. The adults with us were so proud of how calm we were before the show and how brilliantly behaved we were all night! 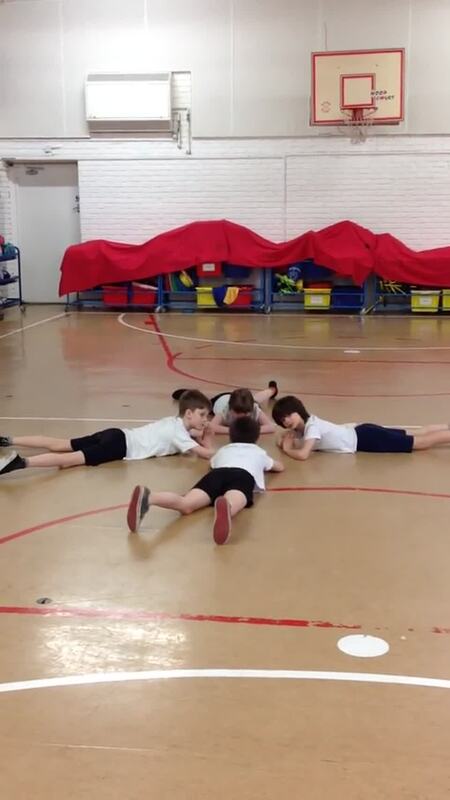 Some of us needed a lie down before we started the dance, just to make sure we had enough energy! As Let's Dance has been on our minds, we decided to write about it in English. We have planned a recount of the whole experience, from choosing the music and practising in our groups, to the big night. We have looked carefully at the language to sequence events and are beginning to look at fronted adverbials. We will do more work on these next week when we finish our recounts. We have looked at division in Maths this week, in particular, dividing two digit numbers by one digit numbers. We used place value counters and other equipment to make sure we fully understood before we wrote the equation and the answer. We have enjoyed Maths this week. Science was really good fun as we had to carry out an investigation into which magnet would be the strongest. We talked lots about a what it meant to make sure it was a fair test and Elliot showed us a great clip to help us understand. Once we understood that we could only change one part of our investigation, we decided on which one and then started it. There are photos below, showing what a great time we had finding out how many paperclips our magnets could hold. We are reading a really funny book in our Guided Reading sessions called The Hundred Mile An Hour Dog, by Jeremy Strong. Please ask us about it to see if we can remember what has happened so far! Please can they be back in school by Wednesday so that they can be marked ready for Friday. We are also working on our 8 times tables, so any practise would be good! Please bring them in for Wednesday next week. Friday has been a brilliant day. We had a special visit from the author James Campbell. He talked to us about lots of things including, his books, how he writes and even Fireman Sam! It was great to get advice from an author in person. After meeting him we tried out one of his planning techniques. Below are some photos of us labeling our ideas. Some of us want to write our stories at home so we will bring home our free writing books and then remember to bring them back next week. We have started a new book in English. We didn't know what it was called for three days, but then Jess revealed it was called The Wild Robot. It seems really exciting as it started with a storm and lots of crates being washed up, but only one survived. We drew pictures of what we thought the opening would look like and chose our favourite sentences from the opening to go with them. As we are looking at a robot in our new book, we have started looking at magnets and forces in Science. We thought about what we already knew about magnets and forces and then learned two new words, attract and repel. Please ask us what these mean! It's now less than two weeks to our Let's Dance performance. We now know all of the dance and are practising hard with the whole class to make sure it all fits together. Sam has been amazing devising and teaching the dance to the class - we can't thank her enough! We will be performing it to the whole school in assembly on Thursday, so we get some experience of a live audience. We need to bring our costumes in for Monday as Sue and Cherry will start adding the finishing touches to them. We have played a great game of bingo in Maths this week which has really helped us learn our eight times tables. We are working on multiplication and multiplying two digit numbers, so we really need to know our times tables well! We have filled our pomPOM jar again, so we will be having a class treat on Tuesday. We took a vote and will be making biscuits as well as having a bit of a dance to some disco music. We've worked really hard to earn all of those pomPOMs! This week we started making our stages for the puppet shows. We had to make a design first and then we got our cereal boxes and cut out the back and the front. This made a stage. Then we painted them. Next time we are going to finish our stages and begin making the puppets. In English this week we have been writing newspaper reports about the EPIC battle between the space monster and the Iron Man. We needed to have an eye witness report and use direct speech. We also had to name our newspaper and give it a catchy headline. We have been learning about the eight times table in Maths. We have learned that it is double the four times table and the four times table is double the two times table - what a great trick! 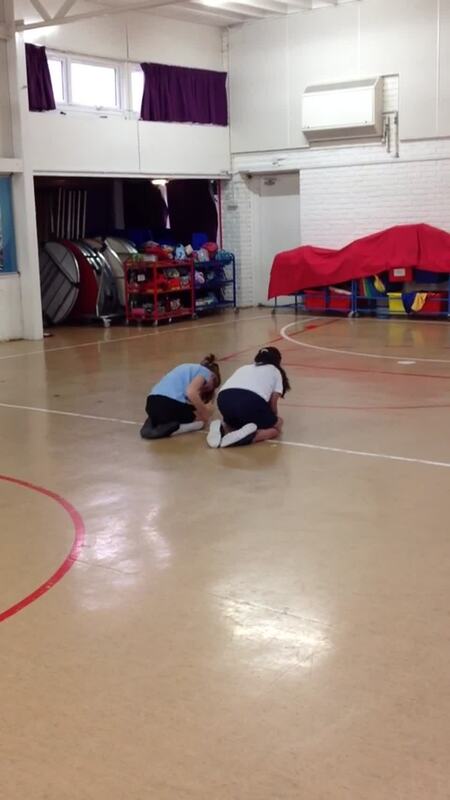 Our performance for Let's Dance is coming on really well. We have been practising in groups and altogether as well. All of the adults that have seen the performance have been super impressed. We are all enjoying working together to perfect the routine. As it is half term, there will be no spelling homework this week. Enjoy the rest and hopefully the sunshine too! We started a DT project this week. We are making a shadow puppet theatre and putting on a show for Year 2 and maybe Year 4 too. We have planned to do a scene from the Iron Man and have designed the characters we need. Next week we will design the theatre and start to build it with our Learning Partners. 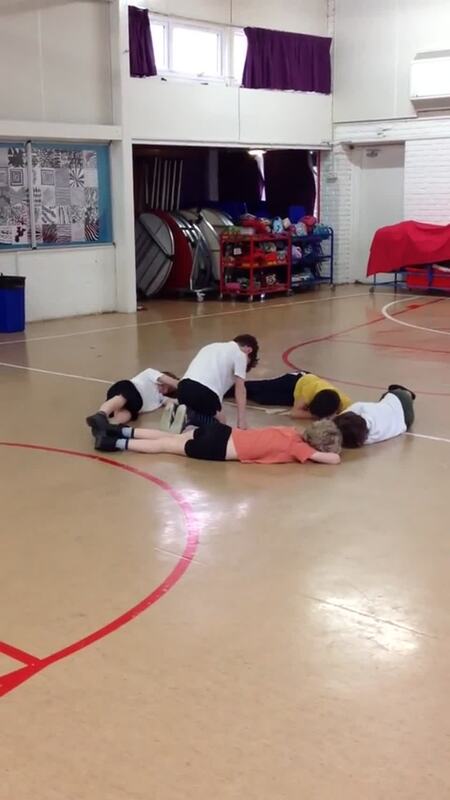 We have been working really hard on our performance for Let's Dance. 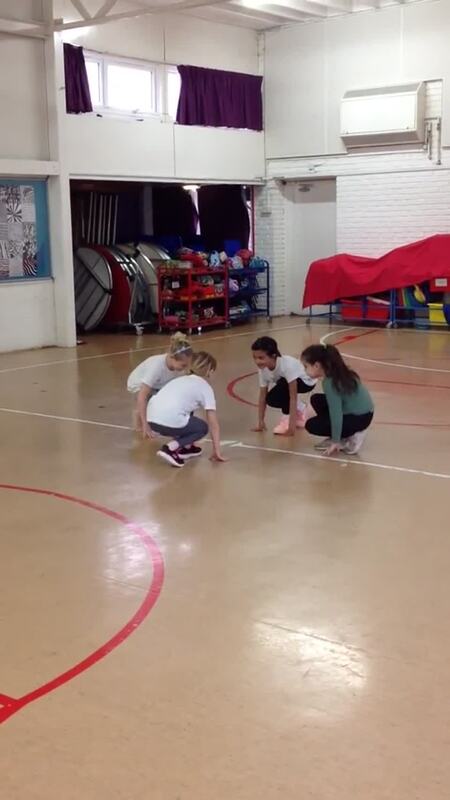 Sam has been working with us in small groups to help us perfect the dance. We will have our first go altogether on Tuesday next week. In Maths this week we have been looking at multiplying and dividing by 4. We have worked with with our Learning Partners to solve problems and we learned a new word - product. Please ask us to explain it! Practising the 4 times table this week would also be really helpful! We have learned about an artist this week called Alberto Giacometti, a famous (and dead) sculptor. We sketched images in his style and then we made our own sculptures from tin foil. Once we had finished them, we used a torch to cast a show and then drew around it. They look amazing! Next week we will have another go at making them, but this time we will use clay. In Maths this week we learned about multiplying and dividing by 3. We looked at grouping and repeated addition and then used all that we knew to answer some problems. We have begun to look at different types of letters in our English lessons. We learned that differences and the common features, like having an address and starting with 'Dear'. We are going to write our own letters next week as if we were the farmers from The Iron Man book. We were able to link our Science with the artwork that we have produced, as we looked at light and shadows. We now know that there are man made and natural light sources and we looked at reflection. It has been a week of dance for us, as we started to learn our routine for the Let's Dance performance. A letter explaining how to get tickets will come out on Monday. The date for our performance is Thursday 14th of March. We are all very excited! As well as Let's Dance, the whole school took part in a sponsored dancethon for the NSPCC. We danced every hour on the hour and really enjoyed it. There's a video below of our first dance at 9 o'clock. Please bring them back in for Wednesday. On Monday morning we went down to the hall with Year 4 to look at the scattered parts of something strange and metallic that had appeared. We thought about what it could be, talked to each other about what we had found and then drew our ideas - they were fantastic! We think that they were parts of The Iron Man as that is our new book in English. Once we had read a bit of it, we drew what we thought he looked like and wrote down some questions we would like to ask about him. We already know that a boy has seen him, but we don't what will happen next...watch this space! In Maths, we have learned how to do column addition this week and were really good at it. We know that place value is really important and that we have to write only 1 digit in each square, otherwise the place value is wrong and we can't add up the columns correctly! We have produced lots of great art work this week, linked to our new book. We used tissue paper to make sunsets and then compared them with ones that we had painted. We learned how the brush stokes affect the way the painted sunset would look, so we used thick brushes with long horizontal strokes. Both of the sunsets are backgrounds to our silhouette pictures of The Iron Man and the cliff top. We had to think carefully about the detail and some of the small parts were tricky to cut out! Here are some of our images - they are really effective. Please bring them in for Wednesday next week!